I knew windsurfing could be an expensive sport but now I need to buy a plane too?! Sheesh. I might have a hard time explaining this one to my wife. 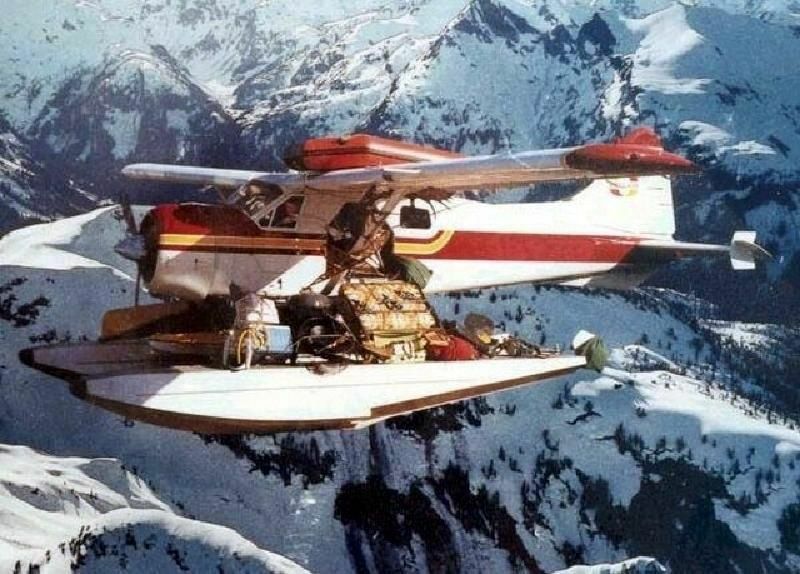 That is one baddass de Havilland Beaver. One thing to keep in mind is have you ever driven a car with a roof bike rack? When there's a bike on it, the car doesn't feel very different. I'm sure there's a fair amount of drag force, but not compared with the car as a whole. The surf board will have some drag (though not much, since it's oriented correctly), but it's positioned quite close to the center of mass of the plane, so it shouldn't have too much effect on flying. Just a little follow up. We have been doing some more flying with the gear attached and doing flight tests. The setup doesn´t seem to have any negative effect on the flying ability of the plane, not top speed or stall speed. I hope do have a flying windsurfing session this weekend and i´ll post some more pics soon.